If you want to improve the quality of your relationships — particularly your business relationships — improve the quality of your questions. Well-timed, probing questions asked in an empathetic way can transform a relationship. The first step in asking better questions is to change the way we listen. Most of us listen just long enough until we identify something that we can add to the conversation that makes us sound good. But that may not be what the customer wants to hear. 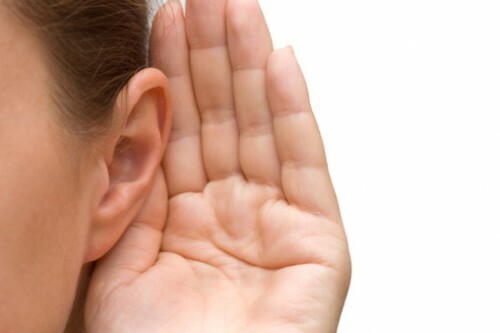 The quickest way to change the way you listen is to stop listening for what you can say to make yourself or your product sound good; and listen for the question you can ask that will get the other person or prospect telling you more about themselves. The aim with questions is to get the other person to talk more. This has two advantages: You get more information about them — which, in business relationships, can help you identify potential areas of interest and mutual benefit, and they think you are a really good conversationalist — and, probably, a nice person as well! The one danger with upping your “question count” is that you can make them feel like they are being interrogated, particularly if their answers are short. It is necessary to make your intent clear. This might just mean showing that you are genuinely interested in what they are saying. Unfortunately, everyone has had experience with manipulative types who try to glean information that they can use to their advantage later. If your intent in asking a question is clear, you will get genuine answers. It is easy for consumers to treat salesmen like commodity suppliers, whose only value is to provide them with a product at the lowest price. If you want your client to see you as more than just a commodity supplier, you have to challenge some of the assumptions he made earlier. • Call/approach a salesman for the best price. Successful salesmen will get involved at step 2 or 3, not 5. And the best way to do this is to challenge some assumptions the customer made in the first steps. Show him that he was wrong and he will see the value of involving you earlier in the process. Questions like “Why did you assume that was the best option for this area?” are a non-threatening way of challenging. Asking a question about what’s not been said can show great insight and often opens the way for a customer to tell you something difficult. This allowed him to tell me about that difficult area because I had asked. He probably would not have told me of his own accord. Truly understanding the other person means not just understanding his needs, wants and desires; but also understanding his priorities. This can be particularly difficult because many people haven’t prioritised for themselves. For example, someone looking at buying a car might say he wants a vehicle that is both fast and comfortable; but it is only when the salesman asks, “Which is more important to you, speed or comfort?” that he thinks about which is most important. Asking a customer a priority question can be a great gift because it helps him to clarify what he really wants. When you ask a question determines the answer you get. Be patient. When the timing is right, that question that you have been waiting for ages to ask will just slip seamlessly into the conversation. Asking better questions separates you from the competition in the eyes of prospects and starts new conversations with existing clients that will strengthen the relationship.